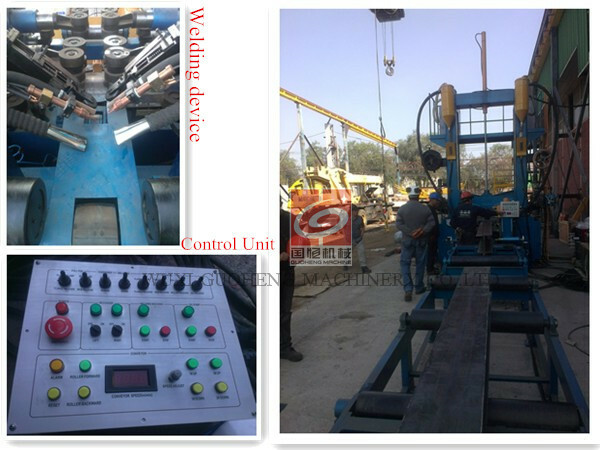 “Beam Welding Line” automatic, two heads submerged arc-welding lines for T / I girder beam. The beam is fed into the machine and both sides of the beam are welded simultaneously. 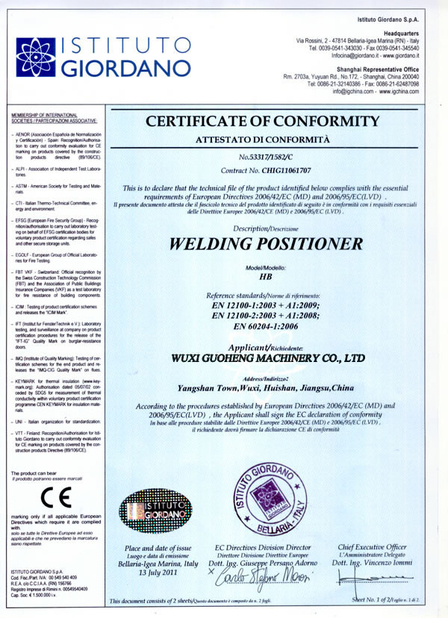 H-beam combination workstation is used for H-beam or T-beam assembly, welding and straightening. It centralize the assembly, welding and straightening functions on one machine which saves space and economize workshop.Reduce workflows: shorten the production time and improve the efficiency. Economize the investment of crane equipment and operator. These machines are specifically designed for the manufacture of welded “T” and double “T” girder-beams with parallel or converging flange. 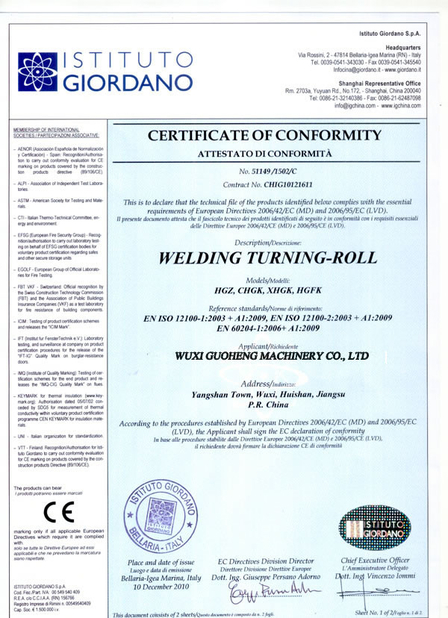 They enable the welding to be carried out on items with the web located vertically and without any need for tacking. Tacking will only be required at the top in order to obtain the proper angle between the web and the flange. 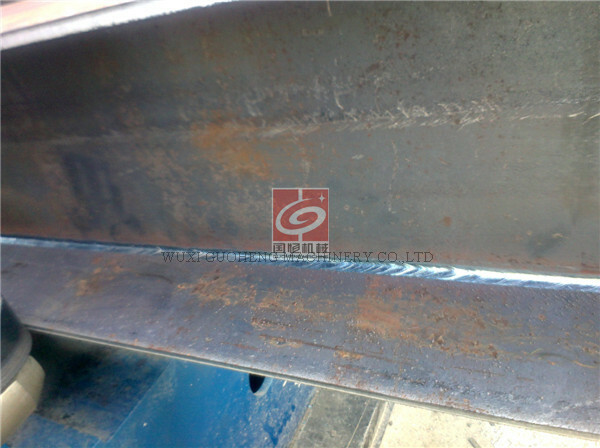 When double “T” beams are being manufactured, once the first flange has been welded, the beam is flipped over and fed back into the unit once again. A flange post-deformation device mounted at the machine exit enables the machine to compensate for any flange deformation resulting from the welding process. This device is easily adjustable to handle various flange dimensions and a variety of different deformable thicknesses up to a maximum of 40 mm at maximum width. 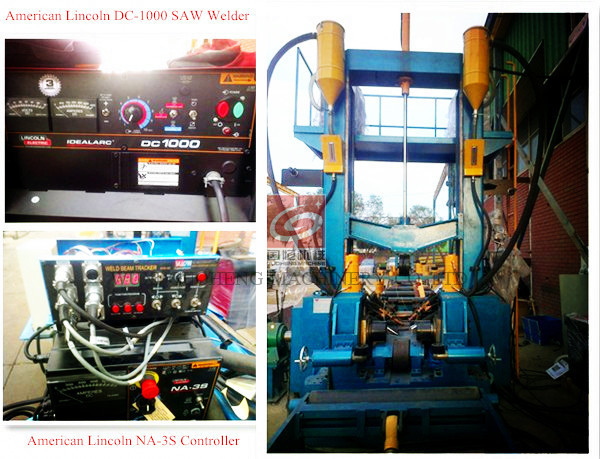 The welding line can be equipped with a control PLC from Mitsubishi.